So, it was with some misgivings that I recently revisited the Corsican village where I found the inspiration for my novel House at Zaronza. But something rather exciting happened while we were there. Zaronza was inspired by a story that we discovered three years ago when we stayed in a B&B on Cap Corse, the part of the island in the NE corner that sticks up like a finger. On the walls we saw framed love letters that turned out to be from the local schoolmaster to the daughter of the house in the 1890s. The B&B owners told us the story of the star-crossed lovers, who carried on a doomed love affair in secret. It was begging to be turned into a novel, which is just what I did. I was then fortunate enough to have my novel published by Crooked Cat Publishing just over a year ago. 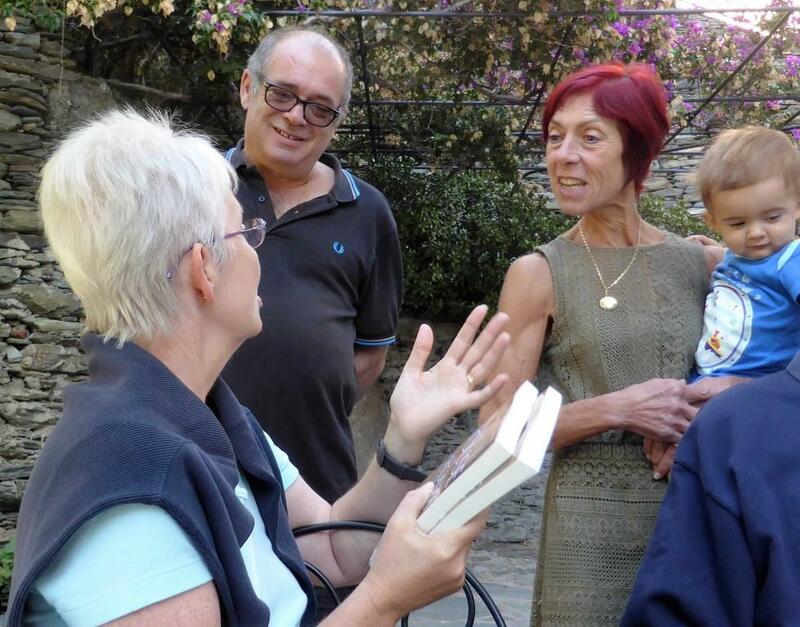 In the meantime, although we had revisited Corsica, we hadn’t been back to the village where I found the story. This year, during our 6th visit to this beguiling Mediterranean island, we decided to do so. I was a little apprehensive. After all, I hadn’t told the B&B owners that I had taken their story as a starting point and embroidered it into my own version. We sat having breakfast under the arbour on the rear terrace. They appeared, looking a little concerned. But, as soon as I explained how taken I had been with the story they told us in September 2012, their faces brightened and other guests approached to hear what was going on. So I needn’t have worried. Monsieur et Mme B were delighted with the idea that someone had decided to write a novel inspired by the real life story. 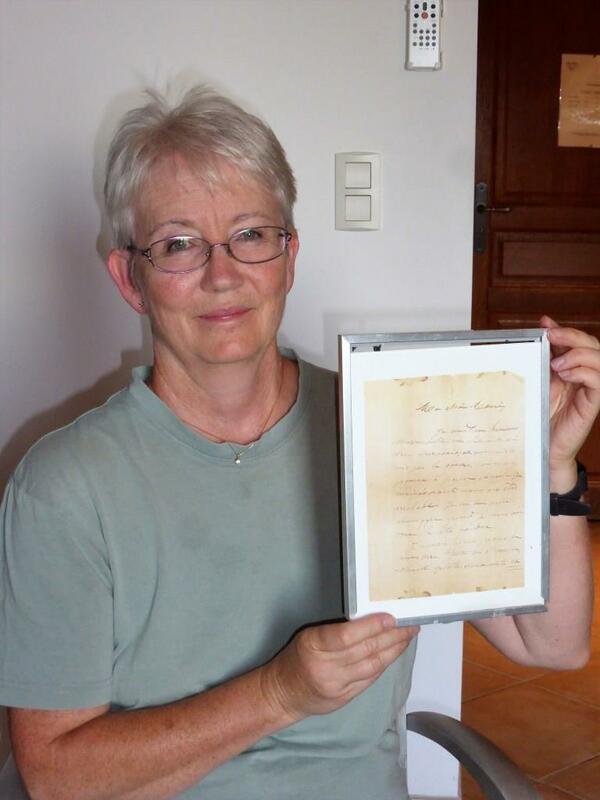 I handed over two copies of the book (in English; alas, it hasn’t been translated into French yet, but Madame reads English) and signed them for Monsieur et Mme B. When I wrote the novel, I disguised the name of the real place. I will continue to do so, since I don’t want M. et Mme. B to be unduly bothered. It wouldn’t take Einstein to work out where it is. But the Corsican village in The House at Zaronza is a composite version, based on a number that I have visited. Much of it is a figment of my imagination, as is most of the story. So I’d prefer to keep it that way. It was magical to return to the place that inspired my first novel and it had remained just as I had remembered. That village will always be special for me. 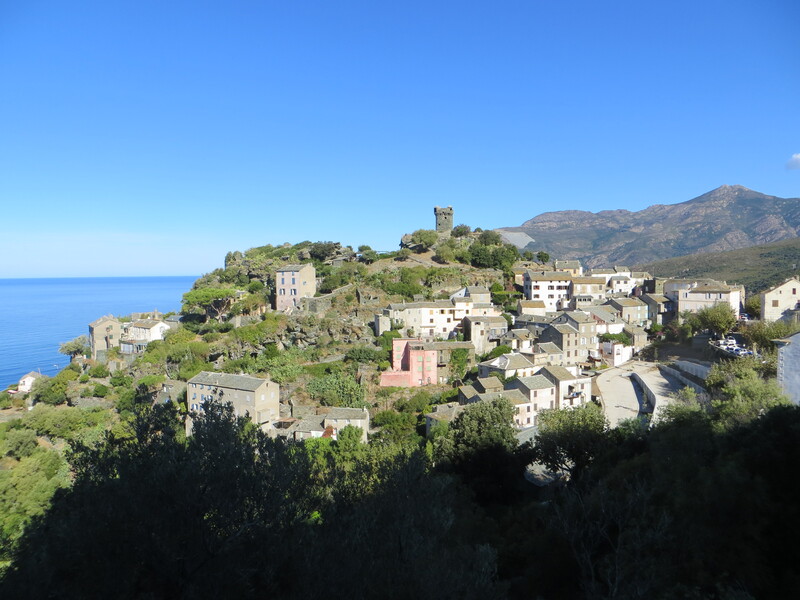 This entry was posted in Corsica, Fiction, Novels and tagged Cap Corse, Corsica, Crooked Cat Publishing, inspiration, love letters, The House at Zaronza by nessafrance. Bookmark the permalink.